Columbus Children’s Choir is getting ready to welcome its eighth class of Middle School Honors Chorus students. Columbus City Schools’ singers in grades 6-8 are nominated by their teacher to participate in a 10-week program with CCC’s artistic director, Jeanne Wohlgamuth. 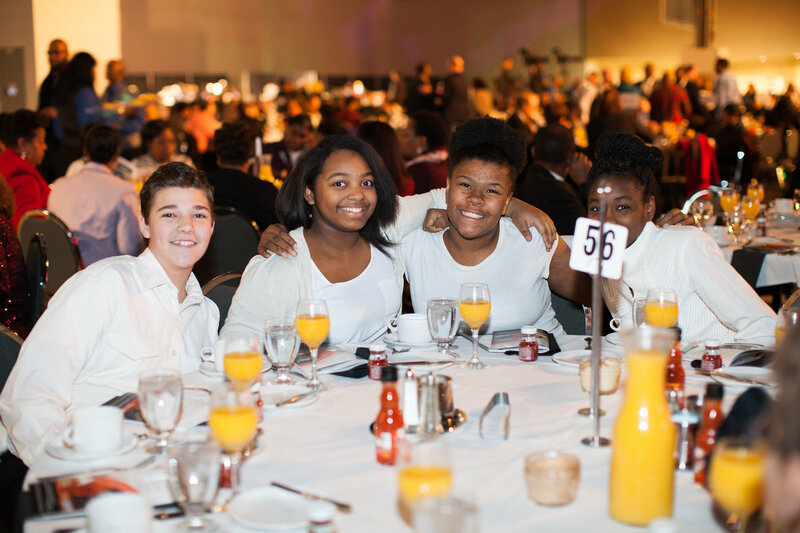 The prestigious program concludes with performances at Dr. Martin Luther King, Jr. Birthday Breakfast and CCC’s Winter Concert. The breakfast, which is one of the largest celebrations of its kind in the nation, receives national attention and local news coverage. The program was created by Columbus Children’s Choir founder Dr. Sandra Mathias and continues to be a gem in CCC’s offerings. For more information about the nominating process, please contact program manager Laura Spires at laura@columbuschildrenschoir.org. 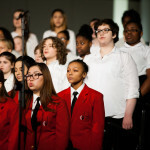 Middle School Honors Chorus is supported by the Ohio Arts Council with a grant for Arts Partnerships.